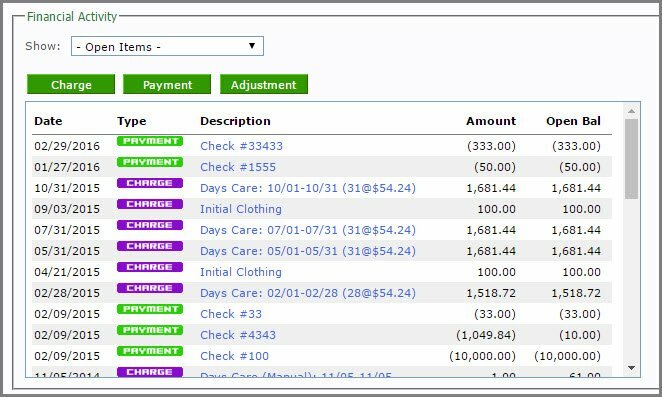 This article is meant to assist you with the Financial Tab in a Case Screen. *The following codes may appear next to the Field Names below in the documentation. This key is for your reference. V = Varies. This field name varies by state, program, or agency. N = May Not Apply. This field may not apply to your agency and therefore not appear on your screen. 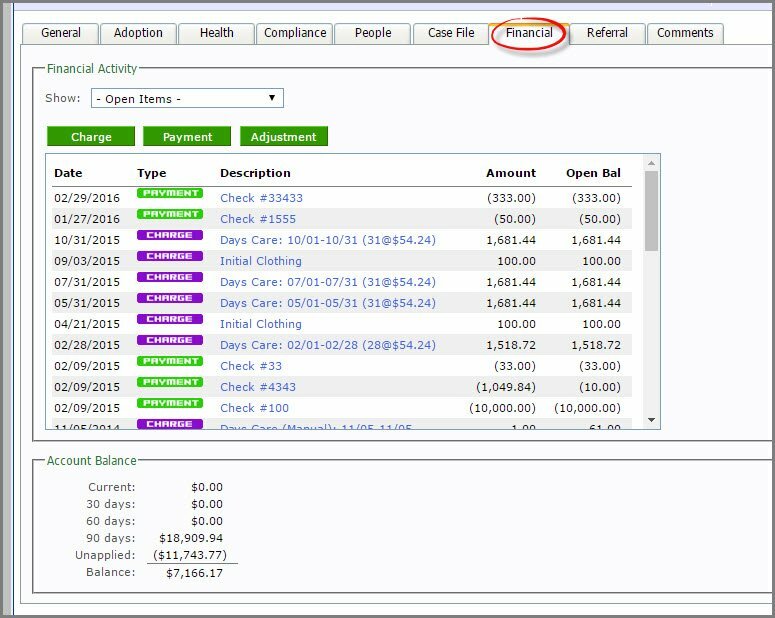 Filter existing information in the extendedReach system by selecting the Financial Activities you wish to view. To add a charge to the extendedReach system, click on “Charge”. Complete the information and “Save” or “(Save and) Add Another”. 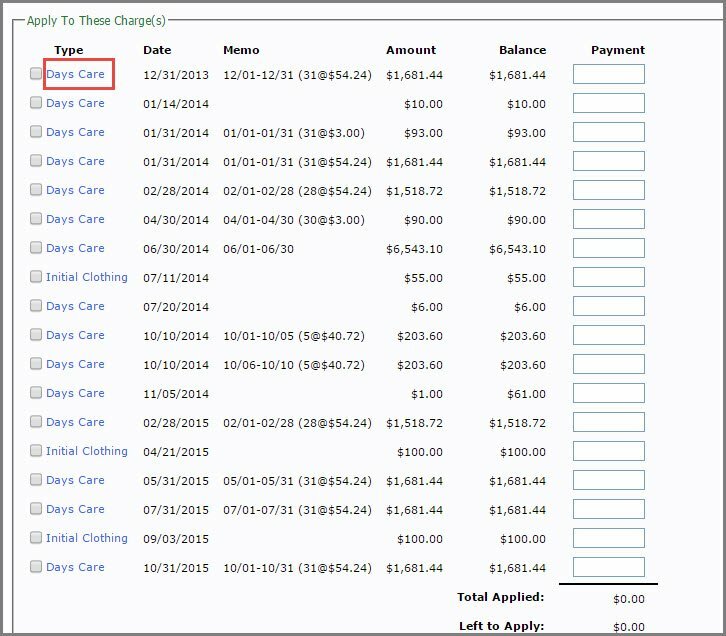 You can select “Print Invoice” after the information is saved. 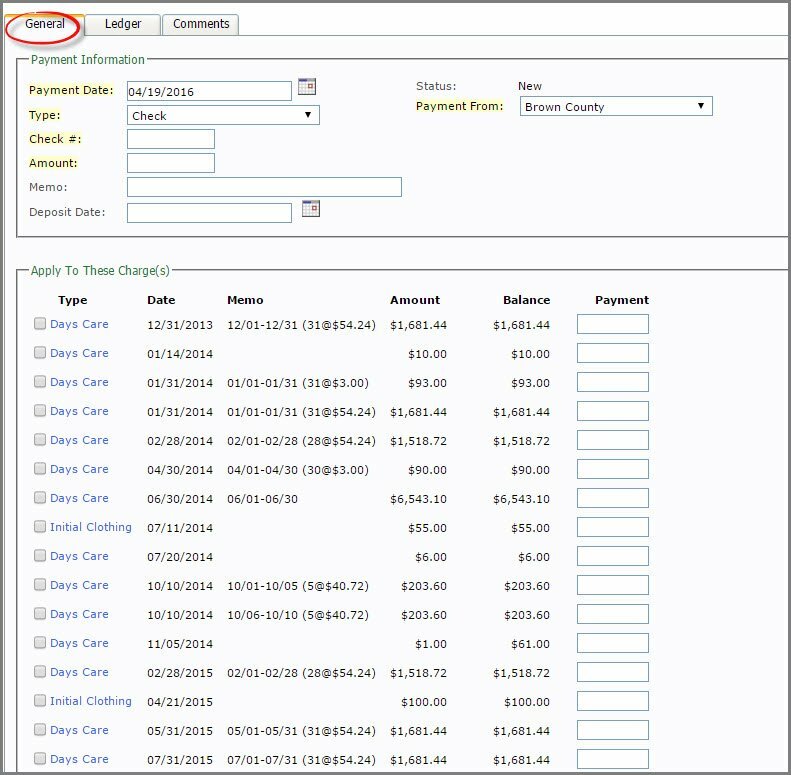 To add a payment to the extendedReach system, click on “Payment”. 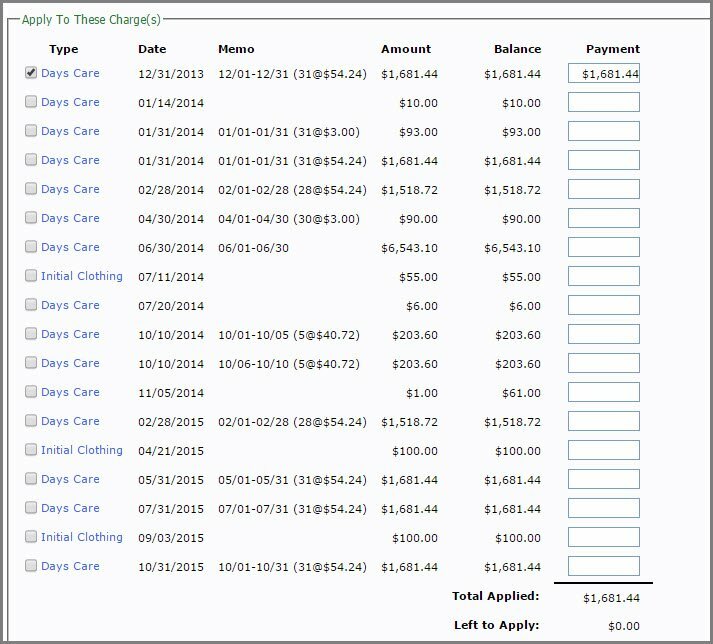 By checking the box next to a charge, the eR system will calculate your payment. 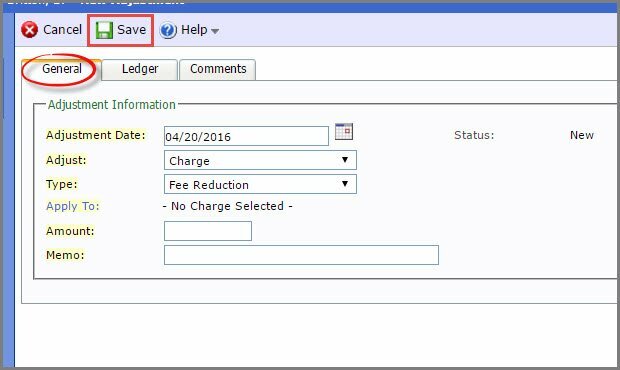 By clicking directly on a charge, you will be routed to the Payment Screen. Click on “Edit” to add information. 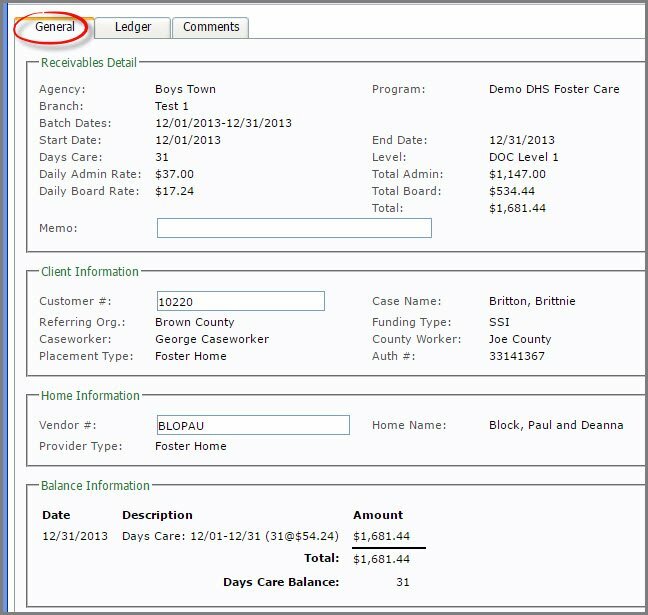 The Ledger tab will provide you with detailed information. As always, be sure to “Save” your work. 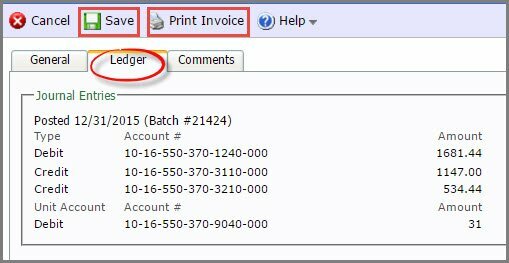 You can “Print Invoices” from here. To add an adjustment to the extendedReach system, click on “Adjustment”. Complete the information and “Save”.